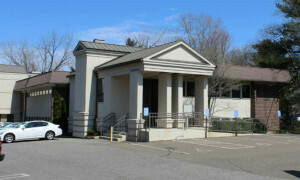 Our office on South Lambert Rd located directly across from the entrance to T.G.I. Fridays. We are a modern, family oriented dental practice located in Orange, CT serving the adjacent towns within New Haven County. We cater to the needs of all members of your family – young and old – allowing you to stay within our practice for nearly any dental need. Our office was established in the mid 1970s by Dr. David Becker. In early 2013, we (Drs. Nicholas and Carla Calcaterra) purchased the office and Dr Becker retired. With this change in ownership, we brought new energy, ideas, technology, and a continual commitment to quality patient care. Many of our patients have been coming for over 30 years! We have been and will continue to always be owned and operated by dentists who call the greater Orange, CT community home. What Makes our Dental Practice Special? You will ONLY see Drs. Nick or Carla. No “doctor of the day” as seen in Corporate Dental Offices. With the rise of Corporate Dental Chains (Aspen Dental, Great Expressions. etc. ), you may think that personalized dental care is a thing of the past. Not so in our office! When you walk in, you’ll immediately notice things are different. Jenn, our Business Manager, or Sarah, our Patient Care Coordinator will greet you by name. How many other medical or dental offices do that? You won’t find a closed window and a sign in sheet. You won’t feel like Patient #502 in the Acme Dental Mill. You will feel like Norm on the TV show Cheers where everyone knows your name as you walk in! Our clinical staff – hygienists Crystal and Toni, – Assistants Amanda and Cyndi – Drs. Carla and Nicholas Calcaterra – all know who you are. Many Corporate offices have high turnover. You see different doctors and hygienists each visit. When this happens, treatment plans change. Procedures are altered. And patients are left confused, frustrated, and angry. In addition, many Corporate Offices have been accused of having non-dentists dictate and/or push expensive treatment (sources: here, here, and here). In other words, the Office is being run like a Corporation (hence the term Corporate Dentistry) as opposed to a private office in which one or two doctors decide upon and render appropriate treatment. In our office, you will only see Drs. Nick and Carla Calcaterra. Treatment recommendations are made by dentists and hygienists and are based on what is best for you – not what is best for a Corporate Office or Wall Street Firm. Our Dentists: come meet Drs. Nicholas Calcaterra and Carla Calcaterra and learn how their skills complement each other. Our Staff: come meet our two wonderful dental hygienists Crystal and Toni, our two assistants Cyndi and Amanda, our friendly Business Manager Jenn, and our Patient Care Coordinator Sarah. We have the friendliest staff in all of Orange. Office Tour: tour our office online and see both the modern dental technology as well as our sun filled rooms. Look out to the scenes of trees, a babbling brook, and birds flying around. Some patients come to us because we are on the list provided by their insurance company. But many others choose us because of who we are and the level of care we provide. Whether we are on their insurance list or not is irrelevant. Thank you for visiting and learning about one of Orange’s oldest continuously operating dental practices!